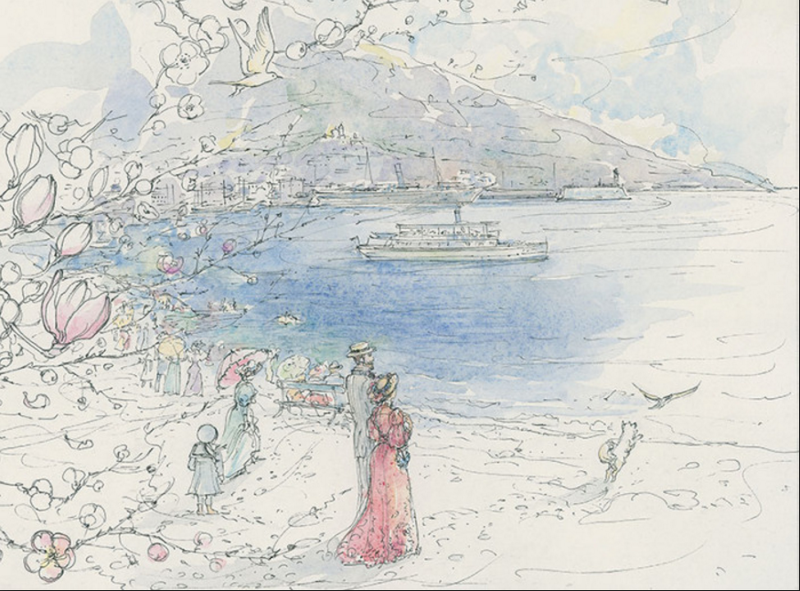 The Yalta waterfront by Natalia Muravskay from Anton Chekhov's short story "The Lady with the dog." Editor's note: "The Lady with the Dog" is a short story by Anton Chekhov first published in 1899. It tells the story of an adulterous affair between a Russian banker and a young lady he meets while vacationing in Yalta. 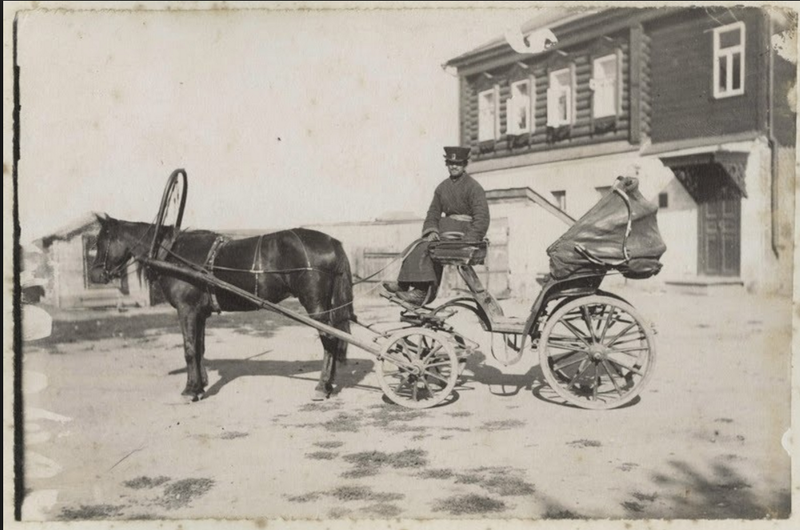 GUEST BLOG/ Short Fiction by Anton Chekov--It was said that a new person had appeared on the sea front: a lady with a little dog. 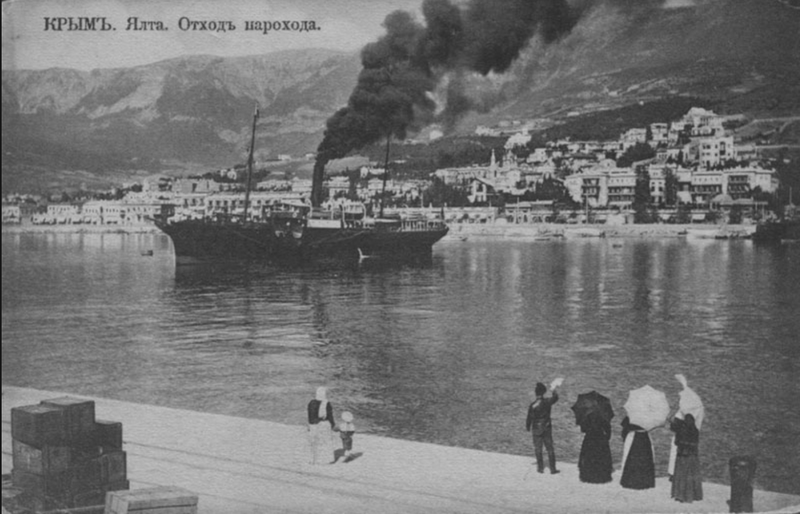 Dmitri Dmitritch Gurov, who had by then been a fortnight at Yalta, and so was fairly at home there, had begun to take an interest in new arrivals. Sitting in Verney's pavilion, he saw, walking on the sea-front, a fair-haired young lady of medium height, wearing a béret; a white Pomeranian dog was running behind her. Anton Pavlovich Chekhov was a Russian playwright and short story writer, who is considered to be among the greatest writers of short fiction in history. Born: January 29, 1860, Taganrog, Russia. Died: July 15, 1904, Badenweiler, Germany. He was under 40, but he had a daughter already 12 years old, and two sons at school. He had been married young, when he was a student in his second year, and by now his wife seemed half as old again as he. She was a tall, erect woman with dark eyebrows, staid and dignified, and, as she said of herself, intellectual. She read a great deal, used phonetic spelling, called her husband, not Dmitri, but Dimitri, and he secretly considered her unintelligent, narrow, inelegant, was afraid of her, and did not like to be at home. He had begun being unfaithful to her long ago -- had been unfaithful to her often, and, probably on that account, almost always spoke ill of women, and when they were talked about in his presence, used to call them "the lower race." One evening he was dining in the gardens, and the lady in the béret came up slowly to take the next table. Her expression, her gait, her dress, and the way she did her hair told him that she was a lady, that she was married, that she was in Yalta for the first time and alone, and that she was bored. . . . The stories told of the immorality in such places as Yalta are to a great extent untrue; he despised them, and knew that such stories were for the most part made up by persons who would themselves have been glad to sin if they had been able; but when the lady sat down at the next table three paces from him, he remembered these tales of easy conquests, of trips to the mountains, and the tempting thought of a swift, fleeting love affair, a romance with an unknown woman, whose name he did not know, suddenly took possession of him. "That's only the fashion to say it is dull here. A provincial will live in Belyov or Zhidra and not be dull, and when he comes here it's 'Oh, the dullness! Oh, the dust!' One would think he came from Grenada." She laughed. 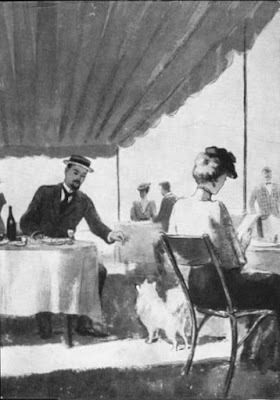 Then both continued eating in silence, like strangers, but after dinner they walked side by side; and there sprang up between them the light jesting conversation of people who are free and satisfied, to whom it does not matter where they go or what they talk about. They walked and talked of the strange light on the sea: the water was of a soft warm lilac hue, and there was a golden streak from the moon upon it. They talked of how sultry it was after a hot day. Gurov told her that he came from Moscow, that he had taken his degree in Arts, but had a post in a bank; that he had trained as an opera-singer, but had given it up, that he owned two houses in Moscow. . . . And from her he learnt that she had grown up in Petersburg, but had lived in S---- since her marriage two years before, that she was staying another month in Yalta, and that her husband, who needed a holiday too, might perhaps come and fetch her. She was not sure whether her husband had a post in a Crown Department or under the Provincial Council -- and was amused by her own ignorance. 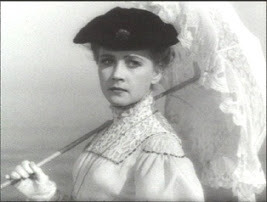 And Gurov learnt, too, that she was called Anna Sergeyevna. "Forgiven? No. I am a bad, low woman; I despise myself and don't attempt to justify myself. It's not my husband but myself I have deceived. And not only just now; I have been deceiving myself for a long time. My husband may be a good, honest man, but he is a flunkey! I don't know what he does there, what his work is, but I know he is a flunkey! I was 20 when I was married to him. I have been tormented by curiosity; I wanted something better. 'There must be a different sort of life,' I said to myself. I wanted to live! To live, to live! . . . I was fired by curiosity . . . you don't understand it, but, I swear to God, I could not control myself; something happened to me: I could not be restrained. I told my husband I was ill, and came here. . . . And here I have been walking about as though I were dazed, like a mad creature; . . . and now I have become a vulgar, contemptible woman whom any one may despise." In another month, he fancied, the image of Anna Sergeyevna would be shrouded in a mist in his memory, and only from time to time would visit him in his dreams with a touching smile as others did. But more than a month passed, real winter had come, and everything was still clear in his memory as though he had parted with Anna Sergeyevna only the day before. And his memories glowed more and more vividly. When in the evening stillness he heard from his study the voices of his children, preparing their lessons, or when he listened to a song or the organ at the restaurant, or the storm howled in the chimney, suddenly everything would rise up in his memory: what had happened on the groyne, and the early morning with the mist on the mountains, and the steamer coming from Theodosia, and the kisses. He would pace a long time about his room, remembering it all and smiling; then his memories passed into dreams, and in his fancy the past was mingled with what was to come. Anna Sergeyevna did not visit him in dreams, but followed him about everywhere like a shadow and haunted him. When he shut his eyes he saw her as though she were living before him, and she seemed to him lovelier, younger, tenderer than she was; and he imagined himself finer than he had been in Yalta. In the evenings she peeped out at him from the bookcase, from the fireplace, from the corner -- he heard her breathing, the caressing rustle of her dress. In the street he watched the women, looking for some one like her. He considered: today was a holiday, and the husband would probably be at home. And in any case it would be tactless to go into the house and upset her. If he were to send her a note it might fall into her husband's hands, and then it might ruin everything. The best thing was to trust to chance. And he kept walking up and down the street by the fence, waiting for the chance. He saw a beggar go in at the gate and dogs fly at him; then an hour later he heard a piano, and the sounds were faint and indistinct. Probably it was Anna Sergeyevna playing. The front door suddenly opened, and an old woman came out, followed by the familiar white Pomeranian. Gurov was on the point of calling to the dog, but his heart began beating violently, and in his excitement he could not remember the dog's name. "What are you doing, what are you doing!" she cried in horror, pushing him away. "We are mad. Go away today; go away at once. . . . I beseech you by all that is sacred, I implore you. . . . There are people coming this way!" 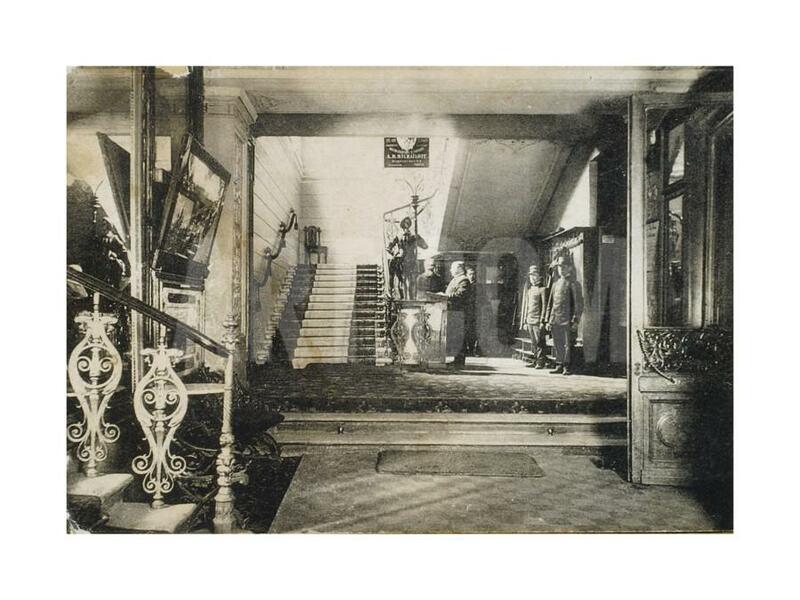 Interior of the Hotel Slavianski Bazaar, Moscow before it was closed forever after the October Revolution in 1917. He explained that, too. He talked, thinking all the while that he was going to see her, and no living soul knew of it, and probably never would know. He had two lives: one, open, seen and known by all who cared to know, full of relative truth and of relative falsehood, exactly like the lives of his friends and acquaintances; and another life running its course in secret. And through some strange, perhaps accidental, conjunction of circumstances, everything that was essential, of interest and of value to him, everything in which he was sincere and did not deceive himself, everything that made the kernel of his life, was hidden from other people; and all that was false in him, the sheath in which he hid himself to conceal the truth -- such, for instance, as his work in the bank, his discussions at the club, his "lower race," his presence with his wife at anniversary festivities -- all that was open. And he judged of others by himself, not believing in what he saw, and always believing that every man had his real, most interesting life under the cover of secrecy and under the cover of night. All personal life rested on secrecy, and possibly it was partly on that account that civilised man was so nervously anxious that personal privacy should be respected.